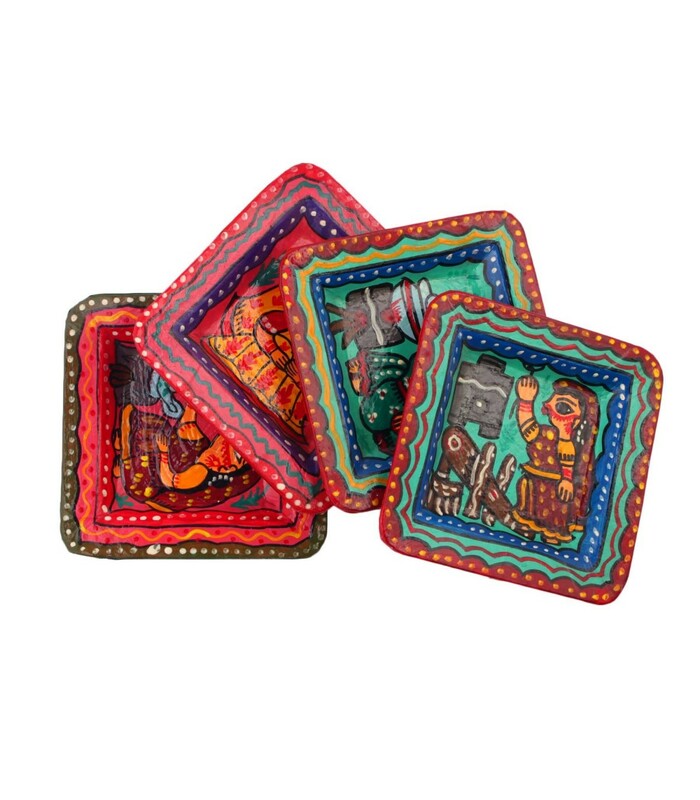 Colourful, Creative and artistic paper plate handmade in Nepal. 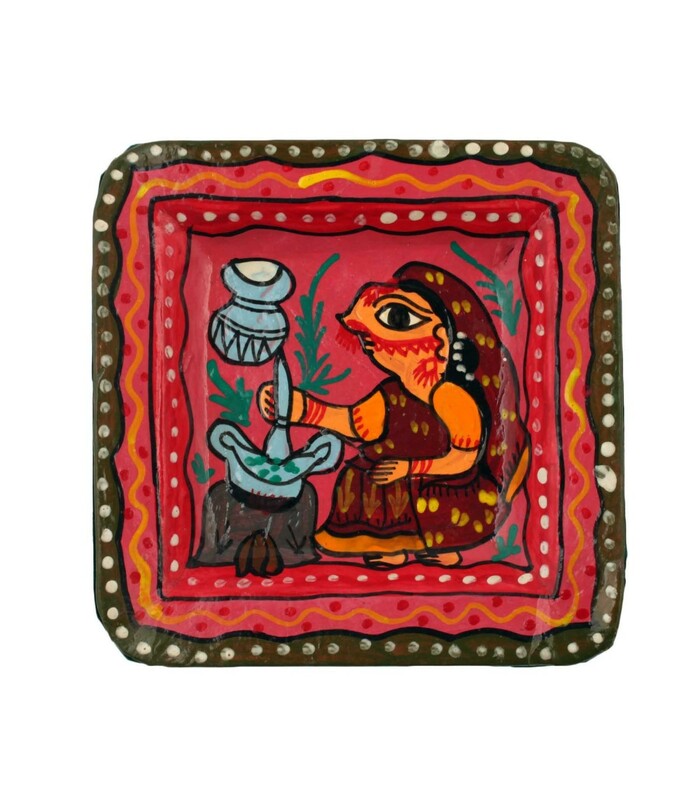 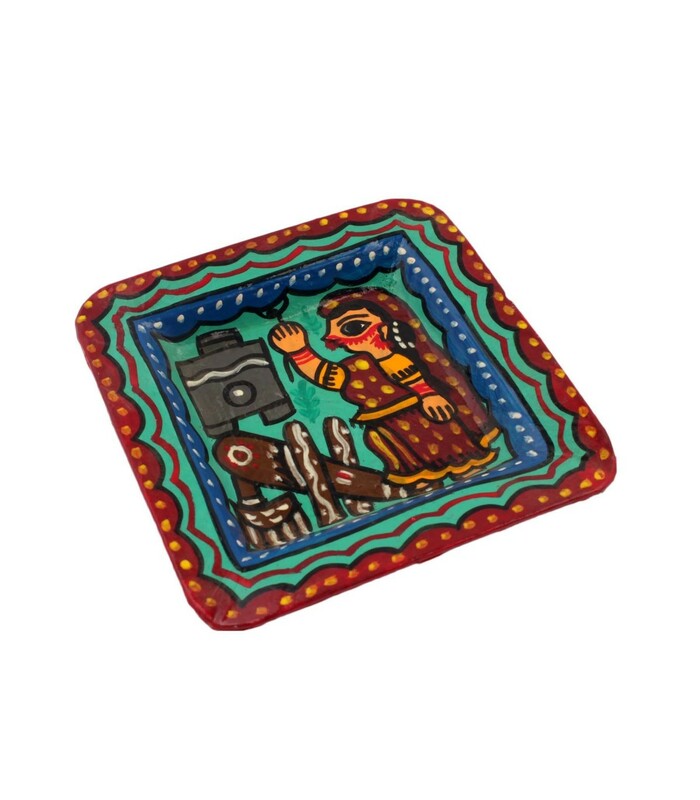 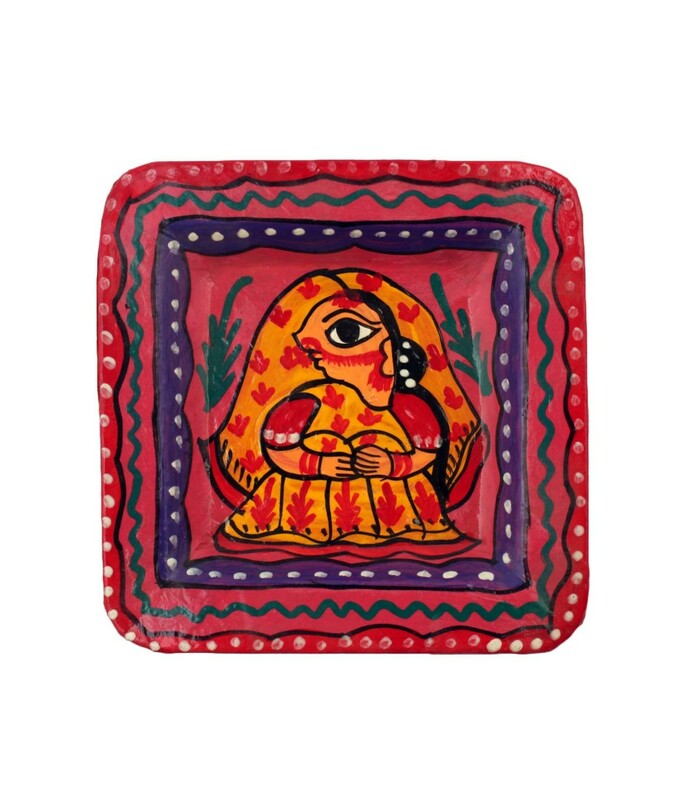 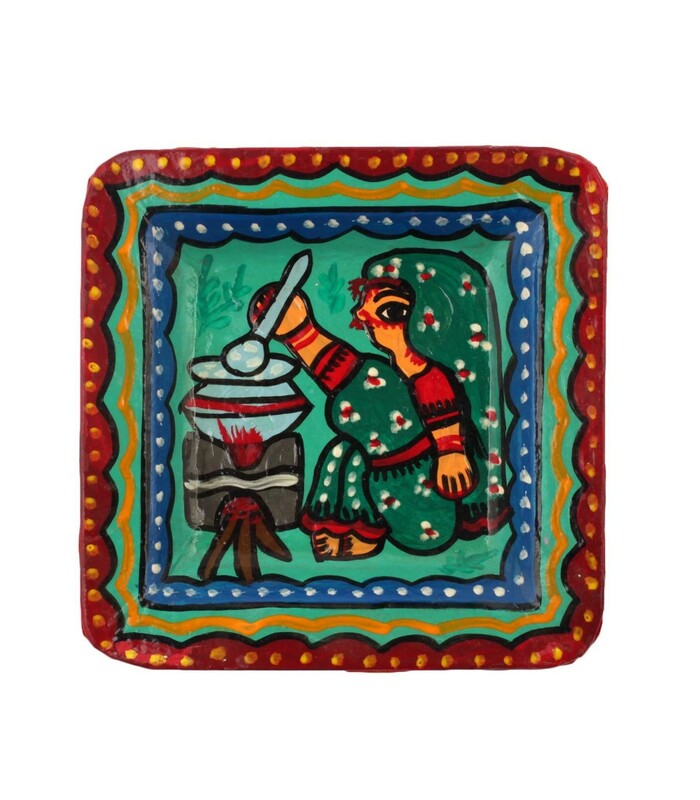 It comes in a set of six each plate has different art depicting the daily life style of typical Mithila women Of Nepal. 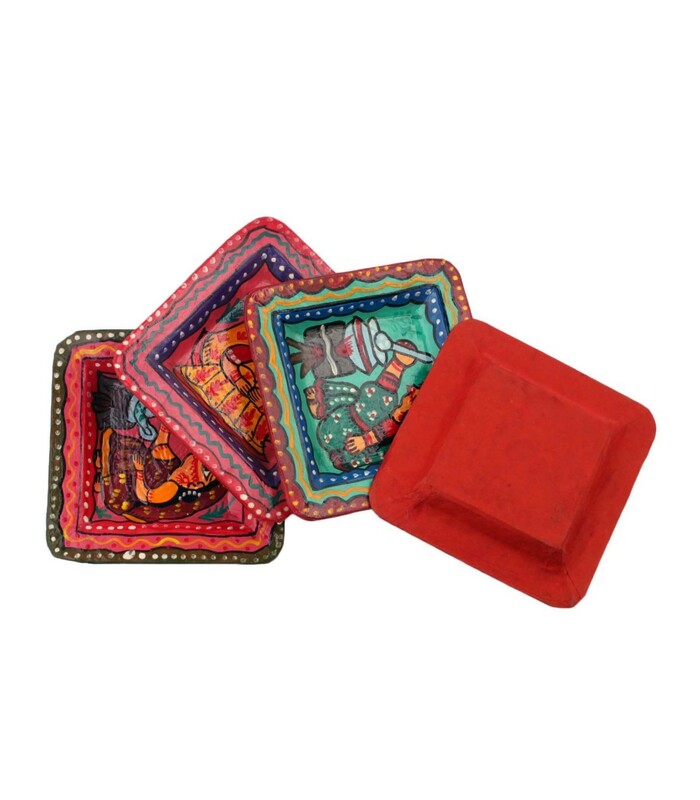 It is made from card board and Nepali lokta Paper.